Following a mild winter, Maryland’s tick population was expected to explode this summer. This could lead to a record number of Lyme disease infections in 2017. Warmer winters allow black-legged ticks, which are the chief carriers of Lyme disease, to remain active longer and spread the illness into new regions of the country. Maryland gets about 1,300 cases of Lyme disease each year, but that number may climb this year. Bites from infected ticks often leave a bull’s-eye-shaped rash: a red spot surrounded by white and red circles. Symptoms of Lyme disease include flu-like symptoms (fever, chills, fatigue, body aches and headache), facial paralysis and swollen knees. If left untreated, Lyme can progress to more serious issues like memory problems, heart rhythm irregularities and chronic arthritis. 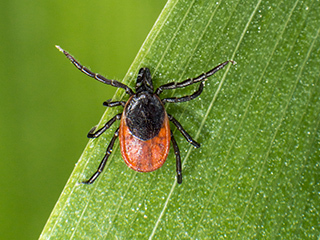 Not every tick bite leads to Lyme disease, especially if you get them off soon, but if you are bitten by a black-legged tick, see your doctor for antibiotics to treat the illness. If you’ve been in a tick-prone area, thoroughly check your body for ticks and shower as soon as possible once indoors. Put your clothes in the dryer on high heat for at least 10 minutes to kill any ticks on them. Call your doctor if you experience any of the symptoms listed above after removing a tick. Check dogs and cats for ticks frequently, and ask your veterinarian about tick preventives. As a general rule, if you spend time outdoors in an area prone to ticks, assume you’ve picked one up. Do a thorough check when you’re back indoors and remove any ticks immediately. 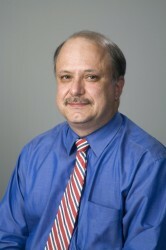 Dr. Cavanagh is a Maryland Primary Care Physicians partner and is certified by the American Board of Family Medicine. He sees patients in MPCP’s Bowie office.